Twenty-five years ago today, the modern gun background check system was created. Named for Reagan Administration Press Secretary Jim Brady, who almost died in an assassination attempt on then President Ronald Reagan, the Brady Law may soon be expanded to include almost all gun sales - the latest battle in the long fight against American gun violence that began in earnest in 1968. That year, responding to a series of high-profile assassinations that took the lives of Rev. Martin Luther King Jr., President John F. Kennedy and presidential candidate Robert F. Kennedy, Congress passed the Gun Control Act of 1968. That law, for the first time, established the foundational principle of U.S. gun law: particularly dangerous people should not be permitted to buy or own firearms. The Brady Law gave that common-sense prohibition meaning and teeth by requiring that all federally licensed gun dealers check the backgrounds of gun buyers. Five years later, in 1998, the creation of the federal National Instant Criminal Background Check System made these checks almost instantaneous. By almost any measure, Brady background checks have been an extraordinary success and have saved countless lives. They have blocked more than three million prohibited gun purchasers - each of them a potential ticking time bomb - including domestic abusers, convicted felons, and other dangerous individuals from getting their hands on a firearm. Now, with the first gun violence prevention majority elected to the U.S. House of Representatives in a generation, Congress may be poised to expand Brady background checks to include almost all gun sales, closing gaps that have undermined the law’s effectiveness by allowing dangerous purchasers to slip through the cracks. Under the current law, only people who buy their guns from federally licensed gun dealers are required by federal law to pass a background check. Unlicensed “private sellers." who sell at gun shows or over the Internet, are not required to conduct checks - a major gap that has grown exponentially larger as a portion of the marketplace for guns has moved online and away from bricks-and-mortar dealers. Felons and other prohibited purchasers are well aware of this private sale loophole - and they exploit it every day. Researchers have estimated that as many as 22% of gun sales are conducted by private sellers - with no background checks and no questions asked. Researchers have also found that, after adjusting for population, states that require background checks on all handgun sales experience less than half as many mass shooting incidents (52% fewer) as states without that background check requirement. But to realize the full potential of the Brady law, Congress needs to close the gaps in the system nationwide. As Congress debates the issue, gun safety advocates have the strong support of the public - including gun owners and NRA members - behind them. Brady background checks are more popular in America than pizza. A 2018 Quinnipiac poll showed that 97% of Americans support universal checks, including 97% of gun owners. And a 2012 survey by GOP pollster Frank Luntz found that even 74% of NRA members support this common-sense reform. 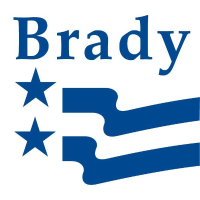 As the Brady Campaign celebrates the anniversary of the law named after our founder, we rededicate ourselves to the next phase of the fight against gun violence.